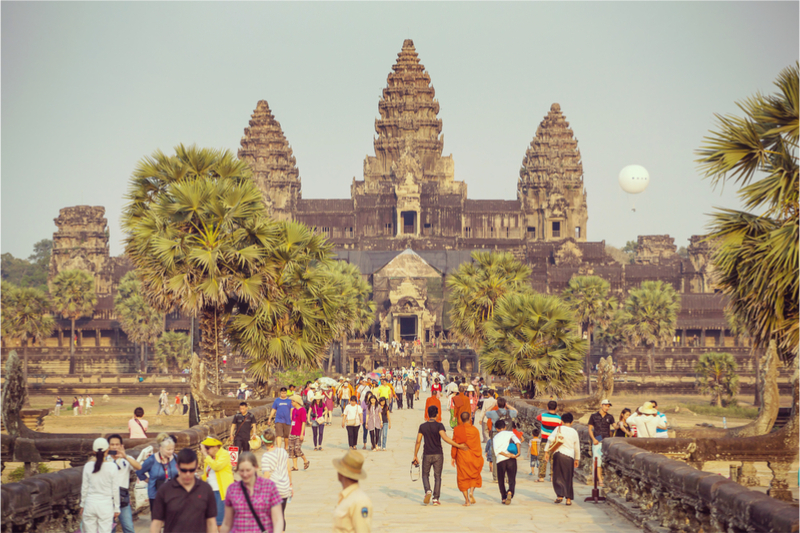 Are you going to be travelling to Cambodia? In this article, we’ll be showing you some of the things that you should spend your time there doing. One of the best parts about travelling and learning at https://scoobydomyessay.com is that you get to experience a completely different culture and see how people on the other side of the world live their lives. Cambodia is no different. During your time there, there is plenty for you to get up to and you’ll undoubtedly find some fun ways to fill your free time. In this article, we are going to be discussing 6 of the best things that you can do during your time in Siem Reap, so let’s get right into it! This should go without saying but if you’re in Siem Reap you must go check out Angkor Wat – one of the oldest and the most religious monuments in the world. Over the years these ancient ruins have had their fair share of damage, although the restoration has allowed it to retain its original beauty. If you choose to visit Angkor Wat, there are tours available although you’ll have more fun if you decide to roam around with your family (just make sure that you have a map handy!). 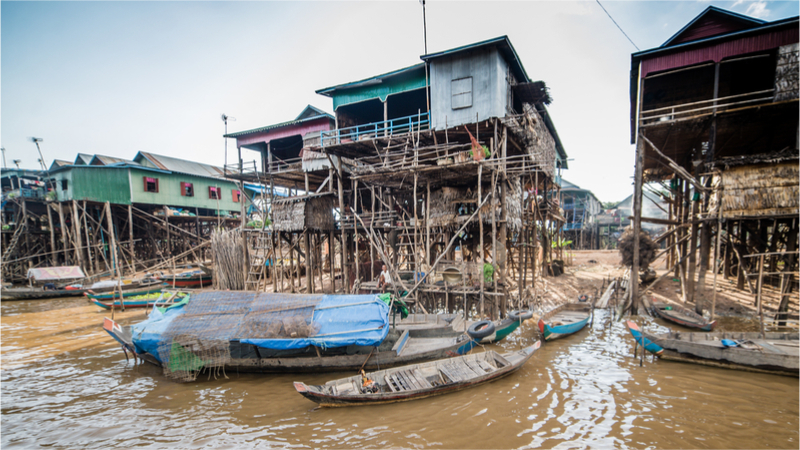 There are a lot of fisherman in Cambodia and the majority of them live in a “floating village”. There are a lot of floating villages and the majority of them have boat tours so that you can get a true insight into how these fishermen live their lives. One of the best floating villages that are worth checking out is Kompong Khleang; the best time to visit is between June and September when the water levels have risen. If you’re an adrenaline junkie and you’re looking to make your vacation in Cambodia a memorable one, quad biking is definitely the way to go. Cambodia has an amazing countryside which makes for a great quad biking experience and allows you to freely roam without the risk of crashing into trees and such. There are a few different places that you can rent a quad bike from such as Quad Adventure Cambodia, Siem Reap Quad Bike Adventure, and Cambodia Quadbike – all places that will give you the chance to explore Siem Reap as freely as possible. Night markets in Cambodia are different to what you might expect from, let’s say, a market in London. At a night market, you can find a lot of different stalls which offer a range of different things. 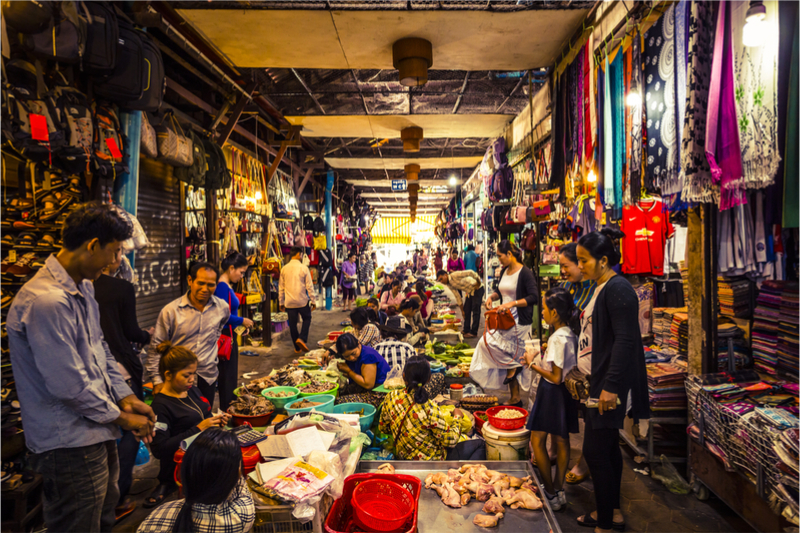 Whether it be handmade jewellery, souvenirs to commemorate your stay, or even getting yourself a customized t-shirt; you can find a wide variation of items being sold at the night markets in Cambodia. There are even food stalls throughout so that you don’t go hungry. This may seem like an odd thing to do while you’re on vacation in Siem Reap although Dr Beat Richner is an amazing man who is worth taking an hour or so out of your Saturday evening to watch. Every Saturday, Dr Richner performs with his cello as a way to get people together, raise money to improve child healthcare in Cambodia, and ultimately bring people together. Dr Richner has dedicated his life to improving the healthcare for children in Cambodia and continues to do so today. If you have the chance, drop by and talk to him! Ziplining can be incredibly fun and on top of that, given how high up you are, it’s a great chance to see the scenery around you. The most popular ziplining location in Siem Reap is the “Flight of the Gibbon” which is a part of the Angkor Archaeological Park. Pair it with your visit to Angkor Wat and you’ve got yourself a great day out and about. All in all, while you’re in Cambodia there are so many activities that you can get up to and these are just some of the best. If none of these are for you, perhaps wander around and take a look at some of the street vendors. There are plenty of vendors who offer cheap, yet very relaxing, massages while others sell their homemade crafts. Regardless of what you get up to in Siem Reap, you’ll have a great time.